The publication of the Music Commission’s report, Returning Our Ambitions for Music Learning: Every Child Taking Music Further, was welcomed by Music Mark as a promising step in identifying routes of progression for children and young people in their music education as well as recognising the need for a sustainable environment for this education to flourish in. Amongst its recommendations, the report proposes key measures to ensure the continuity of music education in schools and local communities and argues that this sustainability is only possible if there is ongoing financial support and adequate training of the music education workforce. 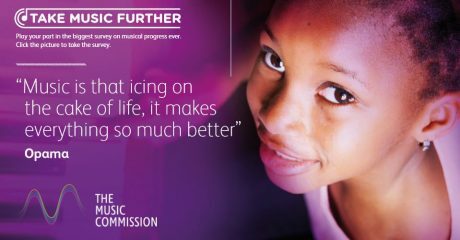 As the UK Association of Music Education, Music Mark fully supports the Commission and will continue its mission to be a key player in efforts to enhance and sustain music education in the UK. Music Mark can lead on some of this work identified within the Commission thanks to the breadth of expertise of its membership and its unique positioning as a national lobbying platform. Amongst the report’s 8 outcomes the Commission sets for the 2020s, which range from the inclusion of youth and parent voice, greater integration of digital platforms and further collaboration amongst local networks, it states that every school should be “supported to provide an effective music curriculum”, and that “Schools that are judged ‘outstanding’ or high performing should have a rich creative arts provision including music as part of their ‘broad and balanced’ curriculum”. Music Mark agrees that schools must be supported in their music education provision, which can start with the simple provision of information on the benefits of music education so that they have, as the report states, “the confidence” to put music at the heart of their students’ learning. 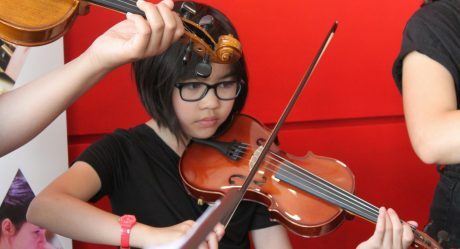 Music Mark also believes institutions such as Ofsted should not only be driving this shift in recommended school criteria, but that they should also engage with the arts education sector generally so that their inspectors become better equipped to identify and measure excellence in arts provision. The involvement of Ofsted’s HMI Performing Arts Inspector Susan Aykin in the Music Mark Annual Conference was a positive step and Music Mark continues to facilitate these dialogues. The report also highlights that secondary and independent music teachers are often isolated, lacking adequate support and training. Indeed, Music Mark believes the recruitment and working conditions of music teachers must also be prioritised so that music is not cut from schools. The fall in secondary music provision is a deeply worrying trend that Music Mark and the ISM called out on in 2018. Local partnerships, further and better training opportunities for staff and mobilising that key parent voice to ensure music remains part of secondary school life were also recommendations that came up at the Music Mark Secondary Symposium in February this year. The Music Commission reiterates the importance of collaborative work and reveals that “lack of opportunities and cost are seen by the public as the two biggest barriers to them taking their music further”. Equity of access for all children and young people in the UK is at the heart of Music Mark’s mission, as it works to strengthen and link up a growing national network of music educators and organisations. The sector must come together to address disparities in access, provision and progression, as well as take note of local realities that shape tailored responses to regional needs. This will also help inspire the workforce and diversify the nature of music education to meet an ever more varied set of needs and challenges. Indeed, the report notes that “greater connection to peers and networks will help to transfer innovative practices and help create a more stimulating professional environment”. As the Commission calls for further measures to ensure the sustainability of the sector, Music Mark continues to lobby the Department of Education on behalf of its members, both to ensure extra funding for Music Education Hubs as well as a refreshed National Plan that truly meets the needs and aspirations of children and young people, and allows room for local autonomy to address issues of equity of access, workforce and progression. Still, Music Mark recognises that current economic challenges are affecting not only the funding of music education, but the arts and education generally. Ensuring organisations continue to grow, irrespective of the ebbs and flows of government or even philanthropic funding, is key to ensuring the sustainability of the sector. Music Mark has therefore commissioned a guide, supported by Arts Council England, on Developing Organisational Resilience, written by Nigel M Taylor. Whilst targeted at Music Services and lead organisations of Music Education Hubs, the guide provides some thought-provoking reading for any organisation working in arts education in the UK today. 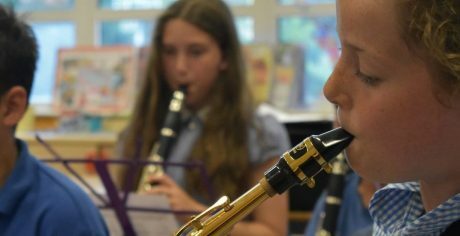 Music Mark hopes that this work, alongside the Music Commission report can provide further tools that ultimately ensure all children and young people continue to access, progress in and enjoy their music education.